At the Papa’s Greek Foods booth @ the festival; we’ll follow-up with the specific booth location closer to the event. 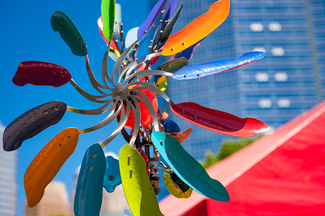 The Festival of the Arts presented by Arts Council Oklahoma City is located on the streets bordering the Oklahoma City Civic Center Music Hall and Bicentennial Park. Thank you for supporting Allied Arts and helping enrich our central Oklahoma arts community. We look forward to seeing you in April! As a token of our appreciation, each volunteer will receive a free entree after their shift! For Ms. Janet Lambert and Myself!! We can't wait to help out!! thank you so much! Call me if you have ? ?